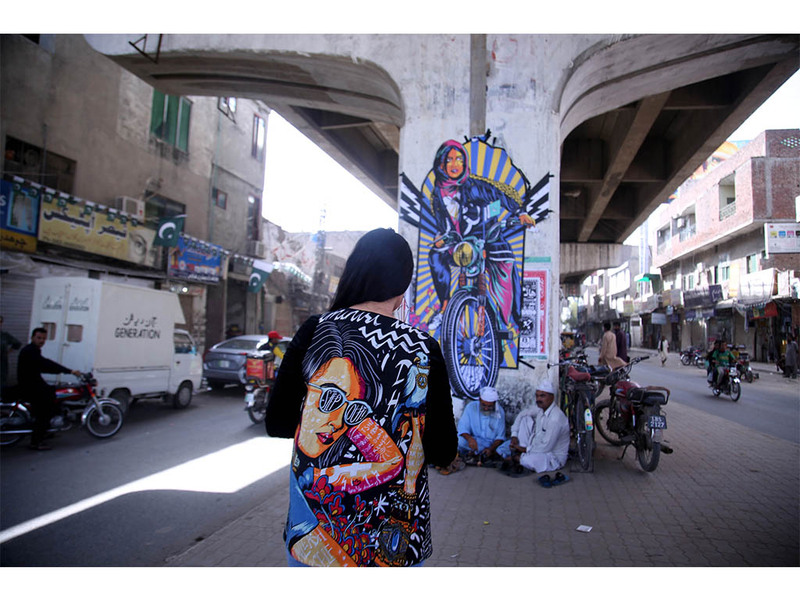 This collaboration has been the highlight of my work as an artist in Pakistan. As catharsis, I had drawn a comic about feeling scrutinized and harassed in public spaces– and unknowingly I illustrated an almost universal feeling of discomfort and fear women feel when stepping out. 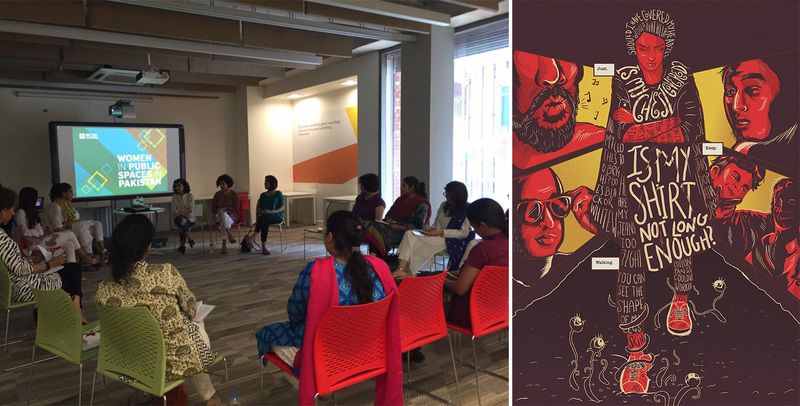 My comic landed me a place on a panel discussion on Women in Public Spaces at the British Council. These were artists, writers, entrepreneurs, and activists who felt strongly about women’s rights in Pakistan and were actively doing their part in changing the status quo. It was meeting Khadija Rahman (Creative Director, Generation) here that led to the idea of collaborating on a feminist fashion line. I had started by drawing a girl with her insecurities and internal monologue written across her clothes- “Is my shirt not long enough?” But now I wanted to flip the script. I wanted the clothes to say, you are enough. You are you. I realized that a lot of what holds us back is that internal voice that tells you that you can’t do something, you don’t have permission, or you don’t know how to do it. I wanted the art to speak directly to those voices, and tell them to imagine more, imagine better. The collection portrays a vision of a world where there is an acceptance and abundance of fearless women who support one another. 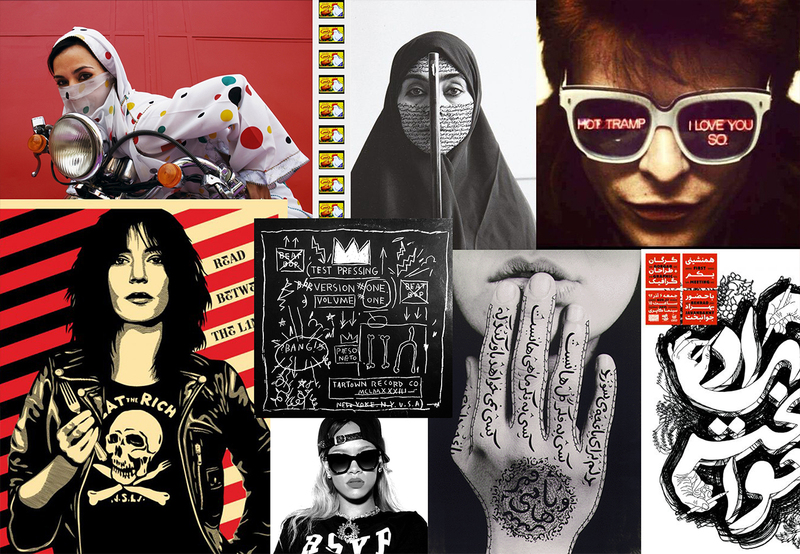 For inspiration for the artwork, I looked at my favorite artists- Shepard Fairey and Basquiat for the graphic styles and the photographs of Shirin Neshat and Hassan Hajjaj to see ways other Muslim artists have tackled gender norms and pay homage to their contributions. 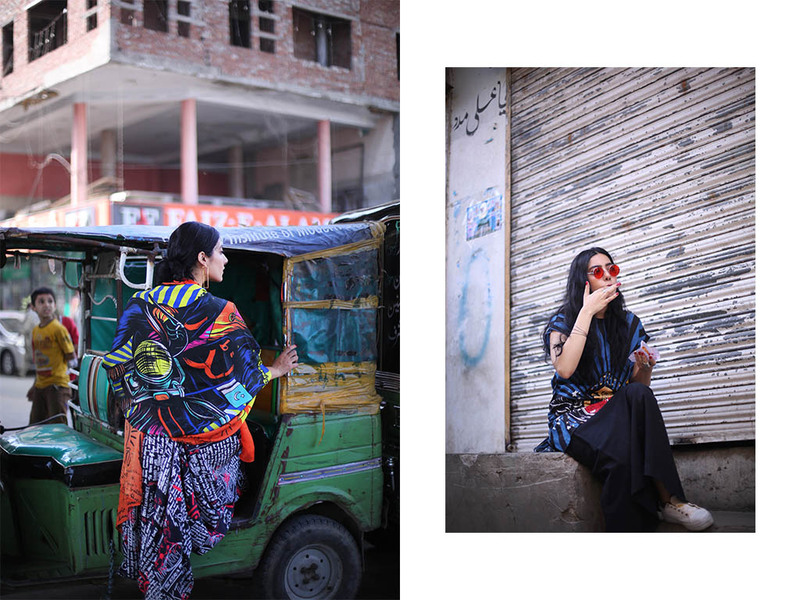 I looked around at the young women around me- young girls pushing the boundaries of “Pakistani” female behavior by being unapologetically themselves. These were the girls I wanted to draw as part of our society instead of being seen as outliers. I had started drawing these women when France came up with its ridiculous “burqini ban”. It felt like all over the world, whether it was telling women to take clothes off or to put more on, the power of what was appropriate to wear seemed to lie with patriarchal society and not with women themselves. Why is every act for a woman- whether its what we look like, what we wear, where we go, or what we do- an act of gender politics? This is why I designed these clothes not for the male gaze, but for women to recognize our own inherent strength. 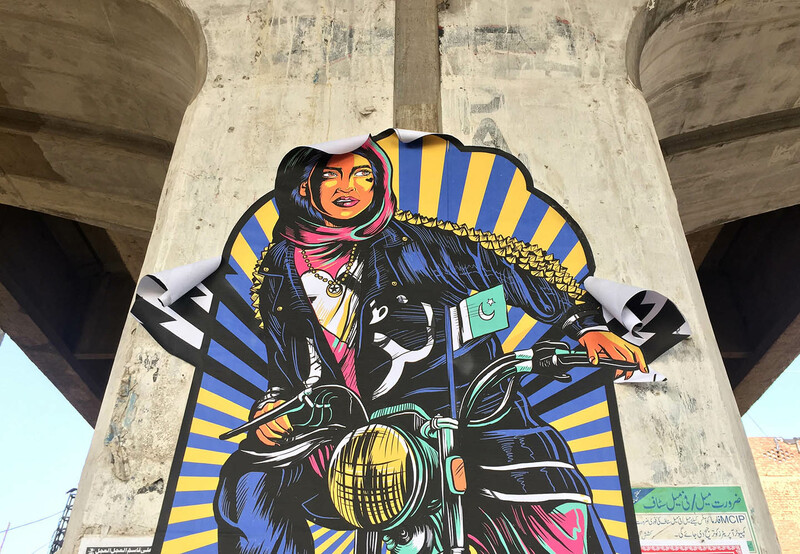 The women drawn are wearing scarves, have flowing hair, are dark-skinned, light-skinned, have tattoos, piercings, wear local jewelry, biker jackets, shalwar kameez. There are women holding your gaze unapologetically, women reading, and women on bikes. 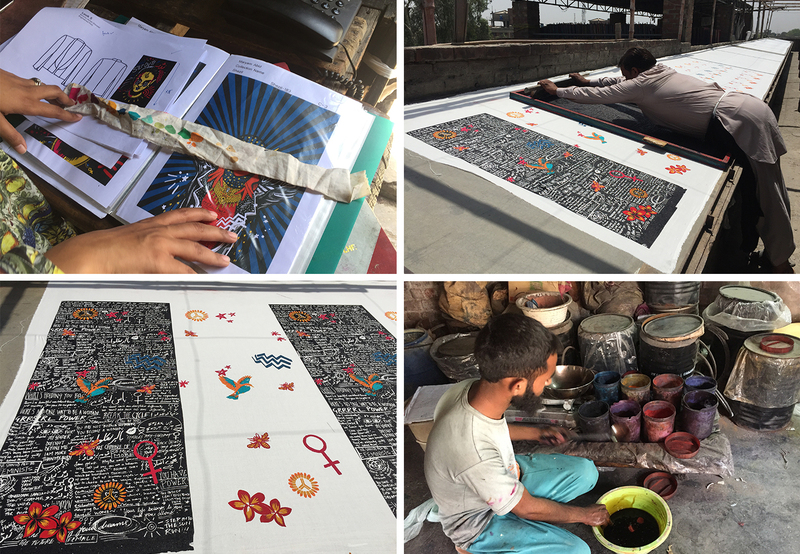 The words written across the designs are a mix of phrases from Chimamanda Ngozi Adichie’s iconic essay, “We Should All Be Feminists”, alongside Urdu and English text echoing the empowering statements of her words. With its graphic approach to female imagery, symbols and text, this collection is about celebrating womanhood. The silhouettes are simple and unassuming- a clean-cut canvas for the graphics do the talking. The process of going from digital artwork to fabric was an exercise in playing with dyes and watching the clothes being screen printed by hand by master craftsmen. Before our eyes the stark typography appeared onto a black base, colorful butterflies and bees exploded onto fabric. 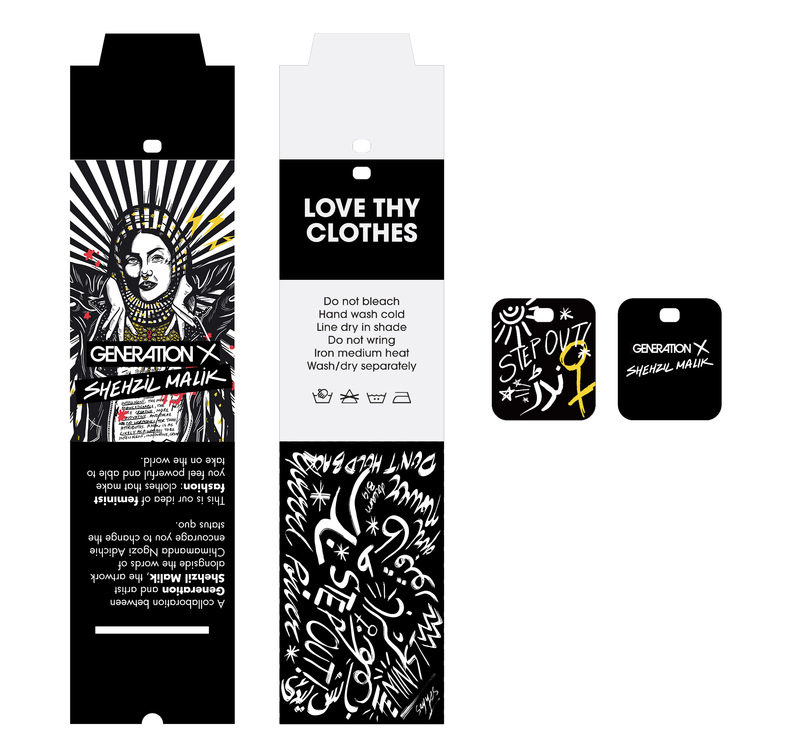 I was keen to be part of all stages of the production- choosing the silhouettes, the dyes and discovering how screen printing on a massive scale works. 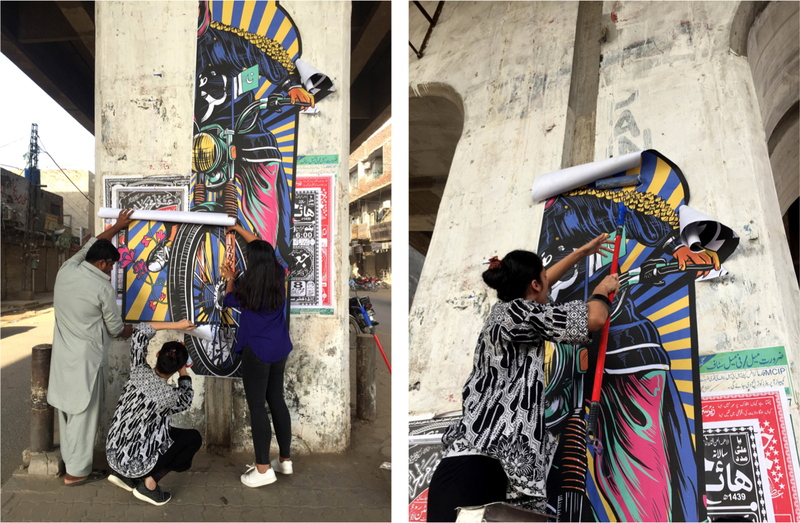 Because the artwork was made with the intention of talking about public spaces and to start conversations, I took its photo-shoot as an opportunity to create art for the streets of Lahore. A friend and I scoured the city looking for a wall- and ended up at the massive pillars under the Cavalry Bridge. 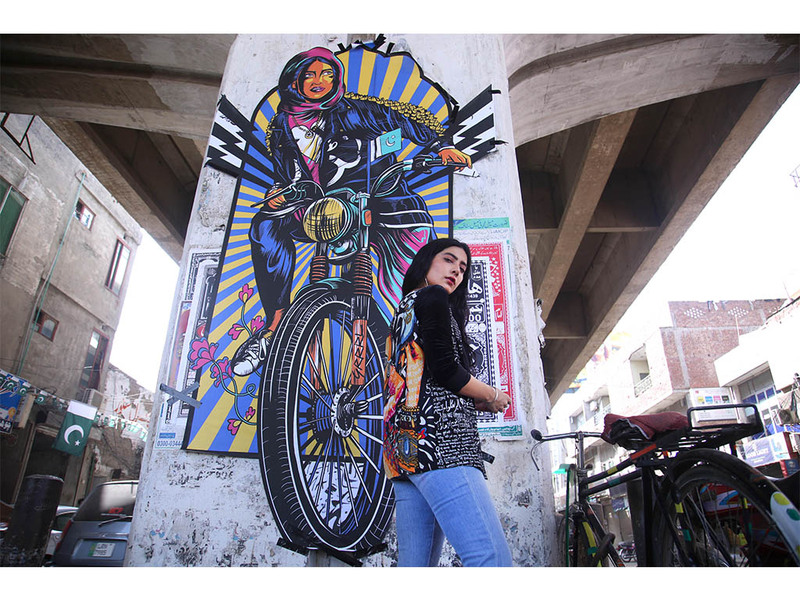 This was a space where Lahoris from all walks of life are found, from the hustle and bustle of the shops to the pedestrians, bikes and cars that make their way through the city. And so at 7 am Sunday morning found my sister, friend, cook and myself pasting an 11-foot woman on the intersection. Soon we had gathered a small crowd of onlookers curious about what we were doing. With a lot of adhesive, a tall ladder and suggestions from the crowd, we managed to paste a giant woman looming over a bike onto the bridge. An all-female cast then assembled to quickly shoot on these streets. 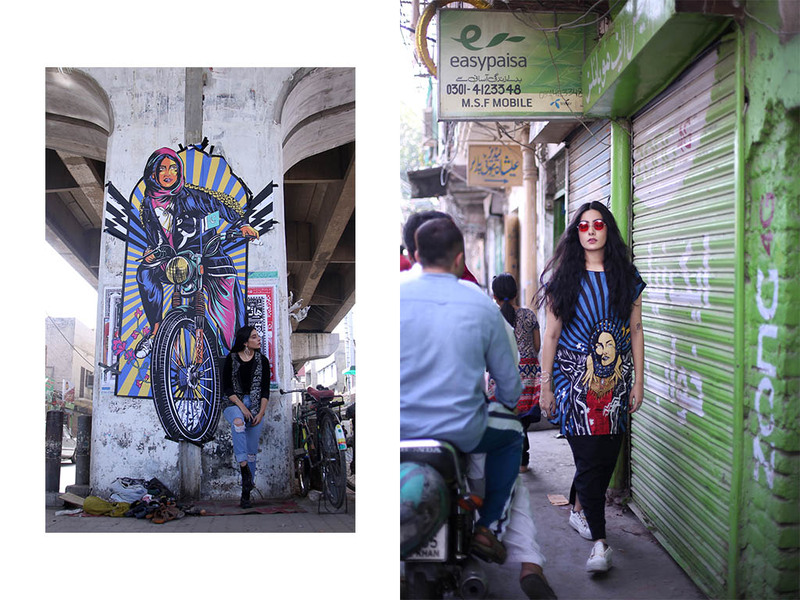 The model, Eman Suleman, was somebody I had in mind while I had been conceptualizing the artwork. As an artist and a stand-up comic in a feminist comedy act, I felt Eman was very much one of the girls I had drawn. For me, it was surreal to see Eman act out what I had imagined as the role of women in public. Here she was- a part of the fabric of the city, interacting with others, being vibrant and unapologetically herself- sharing space with everyone else. 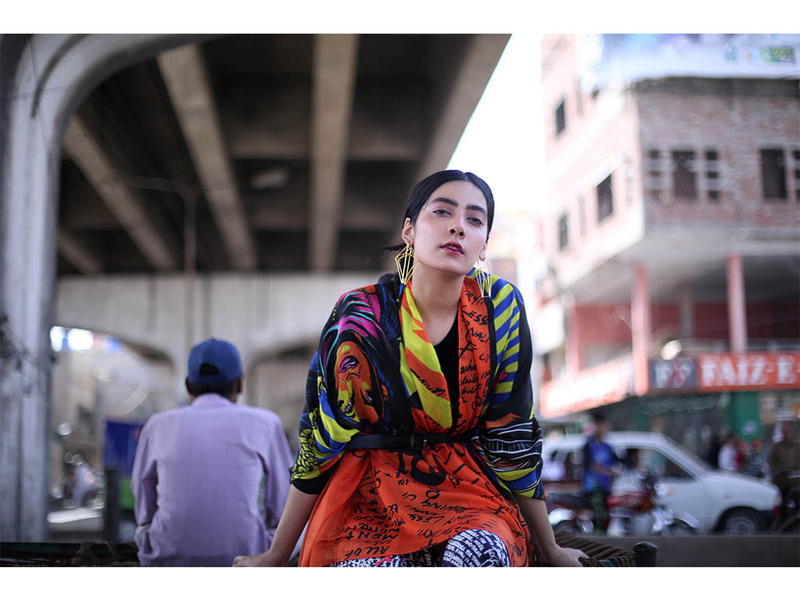 It’s difficult to have a conversation about public spaces in Pakistan without realizing the class differences that exist here, and I wanted the shoot to be mindful of this. As women working behind the scenes, we asked ourselves- how would we wear these clothes on a busy street? How would we engage on a meaningful level with the people here? If more of us participated in public spaces, would other women feel confident in doing so? 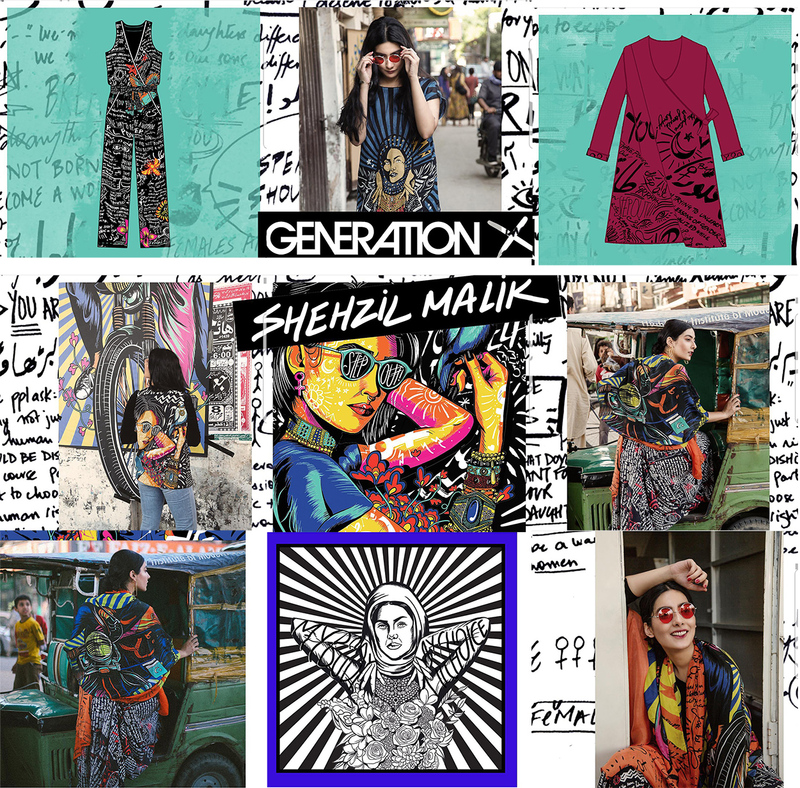 This collaboration has meant so much to me on many levels- in writing feminist text onto clothes I’ve had to reassess my own thoughts, I’ve realized I have a long way to go in challenging myself, to be more inclusive and to continue to see and depict all the ways women are being fearless in Pakistan. My hope for this collection is to have a feminist manifesto woven into fabric, to transform a woman into walking artwork that stakes a right to the space she occupies. There is a lot of gratitude for Generation for being so supportive of my art and the message. From that fateful walk I took years ago, it feels like I’ve come a long way— and this time I want all of us to come along for the ride.